Wonderful Winnipeg City Tours - A Beautiful City, with an Intriguing Past. 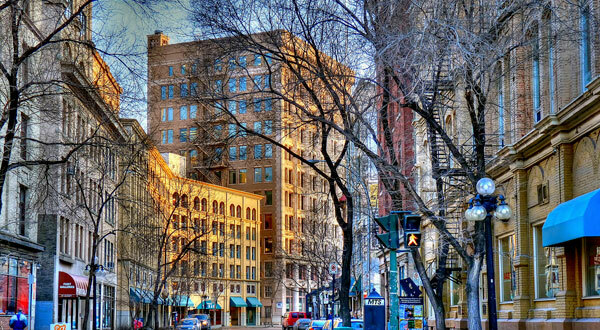 Winnipeg is a vibrant and beautiful city, with an intriguing past and an exciting future. Where you will get unparalleled insight into Winnipeg’s origins, attractions and landmarks, famous people, institutions and achievements. Are you a visitor who wants to gain a quick but comprehensive understanding of our city? Perhaps you’re here for a few days and you want to decide which of many possible ‘attractions’ you should choose for a more detailed experience? Maybe you are considering moving to Winnipeg for a job or education and you wish to learn more about what makes our city a great place to live. Or you might be a Winnipeg resident who wants to learn some new and interesting things about your city. For all of you, our guided driving tour is an excellent choice! Experience Upper Fort Gary, the stunning historic architecture in the Exchange District, Bell MTS Place (home of the NHL’s Winnipeg Jets and AHL's Manitoba Moose), Assiniboine Park and Zoo, the Wolseley district and many of Winnipeg's beautiful Murals. 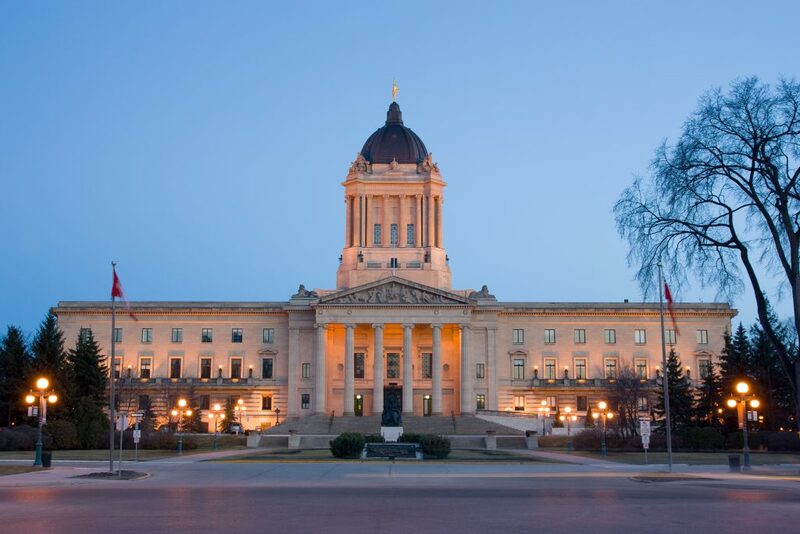 Visit stately Wellington Crescent, the majestic Elms of River Heights, restaurants of Corydon and Osborne Avenues, magnificent Legislative building, downtown Winnipeg including the game-changing True North Square, the incredible Canadian Museum of Human Rights and the award-winning Forks Market. Enjoy the tour from the comfort of a modern Van or Mini-bus operated by an experienced driver, Wendy Morrissey, and narrated by the co-founder and former Leader of Yes! Winnipeg, Bill Morrissey. We can accommodate 2-to-50 passengers per tour, and we are pleased to tailor our tours for groups. Please visit TripAdvisor to see what our passengers say about out tours. If you have taken our tour and would like to leave a review, please do so here! ONLY if you would like to provide a photo of yourself for the website. Winnipeg City Tours gives a fantastic tour of Winnipeg. They brought the city alive - who knew Winnipeg was such an amazing place. Even the little extras like fans to keep you cool during the tour and water was a great bonus. Would highly recommend this to anyone who was visiting Winnipeg. Toured Winnipeg today and had a wonderful time! Just loved it. Best tour ever. Tour bus was clean and comfortable - they even supplied us with water! For a two hour tour, time just flew by. It was very educational and entertaining. I now know more about Winnipeg and will be back to visit soon. Especially Assiniboine Park - beautiful area. Congratulations Bill and Wendy - you did a great job. Even gave us the "best chocolate in Manitoba" as a going away treat. Thank you again! Thank you for the wonderful tour. As someone passing through with little knowledge of Winnipeg I came out after 2 hours with a new found understanding of the town's history and culture (including the Winnie the Pooh connection) as well as an insight into its important modern role in Canada. In no small part was this due to your amiable approach and enthusiasm as someone clearly proud of Winnipeg and keen to show visitors around in a friendly and informative manner. I have no reservation in recommending Wonderful Winnipeg City Tours and highly recommend this compact cost effective tour that covers a lot of ground for anyone including those with airport layovers wanting more than wi-fi! We had a fantastic tour with Bill. The time flew by and he was very knowledgeable. A great way to learn about Winnipeg. This is a wonderfully interesting and educational trip around Winnipeg, filled with a complete picture of the history, culture and high points of the city.. Covers all of the key landmarks as well as some of the influential and historical neighbourhoods. A very good way to learn about and see the city in a relatively short time. Highly recommended. An inspiring tour that certainly provided an excellent overview of the history of Winnipeg as well as the current initiatives that are taking place within the city. My compliments to the tour guide and his wife . We will be recommending the tour to friends family and colleagues. We had a great tour of Winnipeg in our comfortable little bus driven by Wendy. Bill was a very knowledgeable guide and had great stories to make our learning so fun! I could feel and hear his passion for Winnipeg. Our tour was about 2 hours long and I want to go back for another longer visit to Winnipeg! We met Bill and Wendy near Manitoba Travel at The Forks (very easy to drive here) where we found free parking. Our cost was $25.00 and VERY worth it. We would definitely recommend this tour!! Thanks you so very much Bill and Wendy for the best tour I have been on in Winnipeg. Bill your commentary which well researched and delivered covering all the important places in Winnipeg. Wendy you were are very skillful driver and we as passengers felt very safe. I have told my friends and family about our wonderful experience and will spread the word to all friends and visitors to our city. The city tour was most informative and impressive. Bill is well versed in his facts and information. His past, present and future overview of Winnipeg provided a great tour for my out-of-town (Chicago) guest, mother-in-law and I. He was very accommodating to patrons' needs. A very thorough and interesting time spent. I would recommend the tour to any visitor, resident or event planner to know the gems our city is host to and what future ventures Winnipeg is a part of! Well done! We signed up for a tour on our first full day in Winnipeg. Excellent tour of the city. Bill was a non-stop wealth of interesting information. The tour allowed us to decide what sights we wanted to take in during the remainder of our vacation. Would highly recommend to anyone. What an incredible tour! Informative, educational, beautiful. Wendy and Bill Morrissey are fantastic tour guides. As soon as we arrived they welcomed us, offered us a bottle of water for the tour and ensured we had our seat belts on. I did not expect such a luxurious 'van'. The views were spectacular and we could see much of the surrounding area. I would recommend this tour to anyone! I took a delightful tour with these folks last week and we were a group of septuagenarian ladies with our usual array of hearing and mobility etc. problems. Not only were we provided with an astoundingly complete tour of modern Winnipeg with many interesting historical facts thrown into the comments, but also had our physical needs addressed including a “pit stop” halfway through the tour! Wendy and Bill made my visit to Winnipeg complete and I highly recommend their services to everyone contemplating a Winnipeg visit. Whether you are a novice visitor, a returnee, or even a native Winnipegger, I think you’ll find it a worthwhile tour. Amazing tour of the city. Not only fun and informative for visitors, but for residents who have lived here their whole lives. You get fun facts about our city and architecture I didn't even know about. Bill is funny and Wendy is super sweet... they are very inviting as hosts. A must do for everyone!! Thank you for the FABULOUS time yesterday! The whole family was raving all afternoon and evening about it. We had such a fun time and learned so much about our great city. We all felt really proud of Winnipeg after hearing all the facts and figures that make the city so wonderful, and your route really shows off the positives and highlights of Winnipeg. Our eastern cousins were VERY impressed! Bill - you are an amazing tour guide. I can’t believe how much “stuff” you remembered, and how smoothly you shared all the stories. Your touches of humour made it so much fun. Wendy - the family was very impressed with your driving! And your co-hosting, of course, was superb. Thanks again for making this special arrangement for us. We really appreciate it. Wonderful Winnipeg provided an excellent tour filled with fun facts and interesting insights about the city and its history. Whether your a tourist or a resident, I highly recommend the tour! "Très belle visite,Bill a pris le temps de bien nous expliquer cela nous donne le goût de visité d'autre endroit"
"Wonderful visit. Bill took the time explain things and it made us want to visit more of the city." We had guests from out of town , so we decided to take them on a Winnipeg tour. The Wonderful Winnipeg Tour more than exceeded our expectations. It was fun and chalk full of interesting facts and information about our city. The selection of sites was excellent. It provided a good overview of Winnipeg tourist destinations, and left you wanting to see more of the city. Bill was a very articulate tour guide, and Wendy did an outstanding job behind the wheel. I would highly recommend this tour. Residents were so excited after the tour, and it’s the talk of the town. Most of us have lived in Winnipeg for many years, and this tour did not disappoint with it’s interesting and informative points of interest! Thank you for presenting so well and to Wendy for keeping us safe! I’ve had family members of our group call and ask for your tour info – you’ve certainly left a good impression! We operate our 2-hour tours year-round (subject to demand) departing from the Forks (Forks Market Road, adjacent to the offices of Travel Manitoba in the heart of the Forks). Monday, Tuesday, Thursday, Friday and Saturday at 1:30 pm. Please join us for a very enjoyable tour of our great city AND have lots of fun along the way! We offer a total satisfaction guarantee; if you are not satisfied with the tour we will provide a full refund of your ticket. 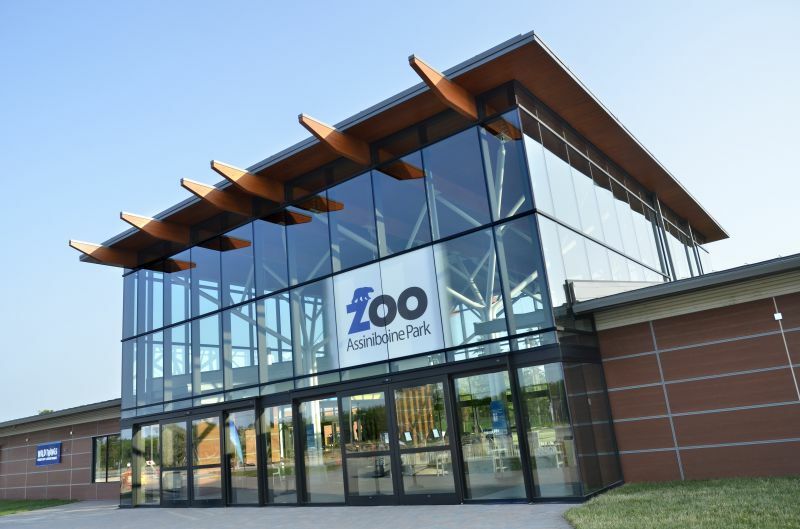 Wonderful Winnipeg City Tour passengers are eligible for a 10% discount on tickets to Assiniboine Park Zoo (limit one Zoo ticket discount for each tour ticket) when you purchase our City tour and Zoo ticket package in advance. Email (bill@wonderfulwinnipegcitytours.com) or phone (204 470-1565) to purchase your package tickets. Similarly, Assiniboine Park Zoo patrons are eligible for a 10% discount on the purchase of Wonderful Winnipeg City Tour tickets. Simply call Bill at 204 470-1565 with your Zoo receipt to book your tour ticket at the reduced rate. Please allow 24 hour advance notice. Wendy and Bill Morrissey know there’s plenty to love about Winnipeg. That’s why the Westwood couple began their company, Wonderful Winnipeg City Tours, last summer. After vacationing in the U.S. the previous winter, and taking a tour in every city they visited, the Morriseys were inspired to offer something similar at home. "We thought, geez, I think we would enjoy doing that because we’re sort of proud Winnipeggers, and we think we would be able to do a pretty good job at it, so we got back and started to explore the concept," Bill said. The couple offers tours for groups between two and 55 in size, and they rent vehicles according to the total number registered. While tourist season has been predictably busy, the Morriseys said there are plenty of opportunities for tours year-round. "We’re also catering to conventions and conferences which are year-round, and also to the corporate community, so Winnipeg-based businesses that might organize meetings throughout the year, or might do staff events, team-building events," Bill said. "We also did Christmas tours this year for seniors," Wendy added. "We got a lot of business in the fall because of people who came here en route to Churchill, and they only have like a day or whatever, and that’s been really great, people from all over the world, actually. We were really surprised at how popular that is," she said. They make a good team, she says, with her doing most of the research for the tours and Bill doing most of the public speaking. 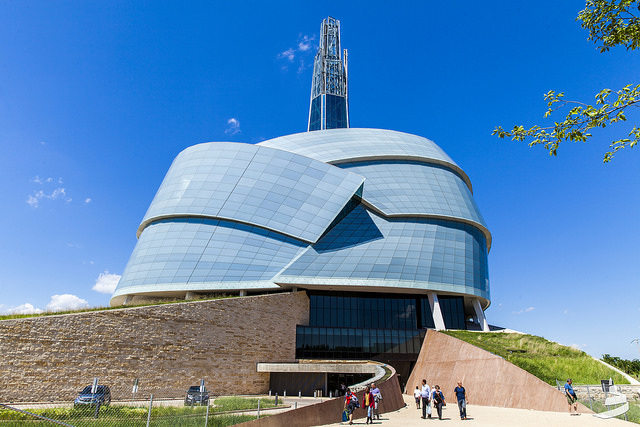 The tours can be catered to specific groups, but for the most part they loop around the city and go by the Forks, the Canadian Museum for Human Rights, St. Boniface, Assiniboine Park, Upper Fort Garry, Portage Avenue and Main Street, the Concert Hall, the Manitoba Museum and the Exchange District, to name a few. All told, the tour takes approximately two hours. "Bill starts off by mentioning the five stages of Winnipeg, and we go through those, and then we mention present day in Winnipeg and why it’s a great place to live, the sports and cultural aspects, and then we go to the future, bring people past the True North Square," Wendy said. Bill said they’ve also been contracted by companies looking to hire staff from elsewhere. "If (the company) is interested in someone for a senior position and they want them to get a good overview and impression of Winnipeg, and that’s worked out really well so far," he said. They say that through their company, they’ve learned even more about their city. "We’ve always liked Winnipeg, so it felt natural for us to do it," Bill said. "Since we’ve been doing it, I have an even greater appreciation for the city." WINNIPEG, MB - Visitors to Winnipeg, residents and future residents seeking to increase their knowledge about the River City have a new and exciting tour offering to experience. Wonderful Winnipeg City Tours, a guided driving tour company launches Thursday July 27, 2017. Founded by former leader of Yes! Winnipeg Bill Morrissey, Wonderful Winnipeg City Tours offers afternoon tours year-round in the comfort of a modern 24-passenger mini-bus. 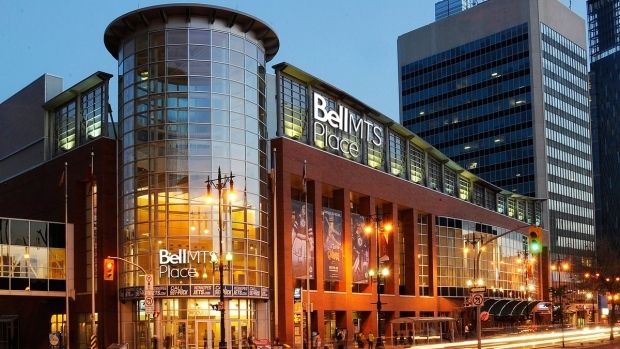 "Bill is a great Winnipeg ambassador and we are excited to see these tours come to fruition. Bill's years of experience promoting Winnipeg as a great place to do business should translate well into being able to deliver a unique year-round tour showcasing all that Winnipeg has to offer, for visitors and residents alike," said Dayna Spiring President & CEO Economic Development Winnipeg. Tours are just under 2 hours long and explore numerous areas of Winnipeg. Personalized narration by Bill himself is focused on Winnipeg's rich history, sought after attractions, new developments and the city's fascinating people. "Winnipeg has been receiving a lot of attention lately - and rightly so. Visitors are coming to experience a diverse city with vibrant cultural attractions, great shopping, interesting history and amazing architecture. Wonderful Winnipeg City Tours provides visitors with those experiences and get them excited to explore this city even further," said Colin Ferguson, President & CEO of Travel Manitoba. Familiarization tours for local tourism and hospitality leaders are underway with media event to follow. "I've always had a sincere passion for our city, so doing this seemed like a natural fit," said Morrissey. "This time I dragged my wife into it! We've enjoyed the research and the many new and impressive things we've learned. We are looking forward to sharing it with our guests on the tour." A leisurely Sunday drive around town looking at the sights is a tradition for some families, and a pleasant thing to do for Mother’s Day. But instead of a family member doing the driving, a Winnipeg company is offering to take the wheel for a couple of hours and tell some great stories while you all enjoy the view. Bill and Wendy Morrissey operate Wonderful Winnipeg City Tours (wonderfulwinnipegcitytours.com) and on Sunday, they’re offering half fare to any moms who want to get on-board for one of their narrated tours. "We think it’s something that moms will really enjoy and find interesting, and it’s a great way for the family to spend some time together doing something fun with mom," says Bill, tour narrator. The tour is two hours long and riders will get an overview of the sights, attractions and activities that make Winnipeg special. "The tour is a great thing to do whether you live here or are visiting: if you’re interested in learning about the city’s history, you’ll come away feeling that you’ve got a good grounding in where Winnipeg came from, where it is today and where it’s going," Bill says. 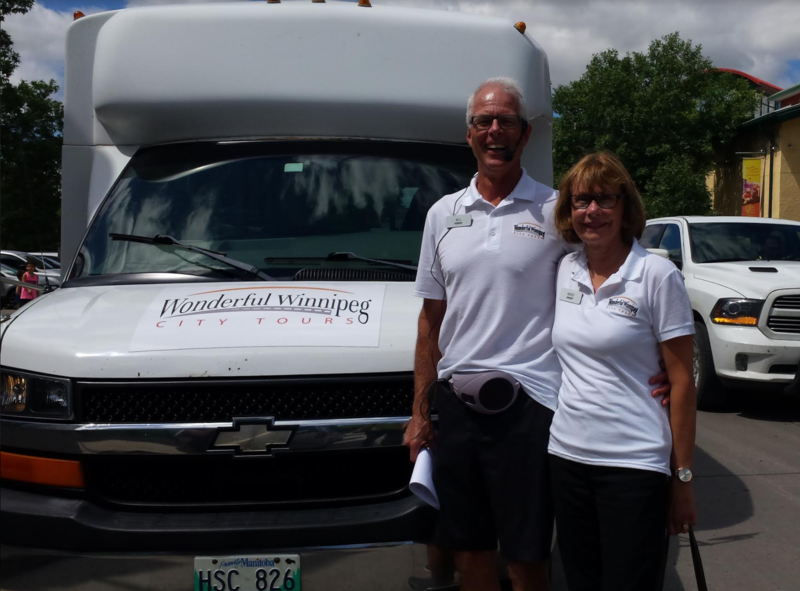 Bill and his wife Wendy started the tour business last August as a way of showing off the city to tourists — and Winnipeg residents — all year round. They can handle groups of two to 55 and will tailor tours for groups. As the former leader of Yes! Winnipeg, Bill was already a big fan of the city. "A lot of what we did with Yes! Winnipeg was promote the city to businesses outside of Manitoba who were considering expanding, launching or relocating," he says. "So, we learned a lot about Winnipeg’s attributes and much of it carries over to what we’re doing with Wonderful Winnipeg City Tours." Wendy, tour driver, bookkeeper and researcher, is a former nursery school teacher. "I really do love history and I enjoy researching and learning new things, so that went hand in hand with this project," she says. "I do most of my research on the internet and through written materials like brochures that are already available, like articles and books. "When we first got started, it’s funny how many books I was given relating to the history of Winnipeg!" Bill says inspiration for the business came from their own travels where similar tours are given in other cities. "When Wendy and I travel, one of the first things we do in a new city is look into a city tour," he says. "We find them valuable in providing background and context of the city, and also as an overview of the sights and attractions that help you decide what you want to follow up on." He says they tried three different tours in the United States last winter. "I recall very distinctly sitting and listening to the different narrators and thinking to myself: I think I would really enjoy doing this in Winnipeg," he says. "And then, as I thought more about it, with the backgrounds that Wendy and I have, both being longtime residents of Winnipeg who really like the city, I thought we could do a pretty good job of this." They started researching and planning, got on board with Tourism Winnipeg and Travel Manitoba and filled the niche for year-round tours. "The reason why this is sustainable is we had this idea of not just appealing to tourists, but also to the conference and the business market," he says. "And we feel that there are really interesting stories around the sights and attractions and also a lot of famous companies that have called Winnipeg home as well as famous personalities that either live here now or had lived here before." Stories are a key part of any tour and Winnipeg has its share. "One of my favourite stories from our tour is the connection of (former Saskatchewan premier and first leader of the federal NDP) Tommy Douglas with Winnipeg, his history here and how his development here led him to become the founder of the universal health-care system," Wendy says. "I think the thing that I have most enjoyed is being able to convey to our passengers so many of things that have been accomplished or achieved here — really important things that have emerged from Winnipeg that most people are not aware of or may have forgotten," Bill says. "And after the tour, when they’ve heard these stories, a common refrain is: ‘Gosh, who knew that Winnipeg contributed so much?’"
The tour covers Winnipeg’s past and present and provides passengers with information about current events and future developments that are planned or underway here in the city. "We have specifically connected with Folklorama, and also with the Winnipeg Folk Festival, and we have an understanding of how we might be an activity event for people who are here as performers or spectators," he says. "And when events are underway during a tour, we’ll point them out specifically and explain where to get more information, whether it’s the fringe festival or the jazz festival or whatever might be on," Wendy says . The Morrisseys say the best way to get on-board is to start with the website. "There is lots of information about the tour, where it goes, what it does, and you are able to book tickets right online, or you can give us a phone call or send an email for more information or to book," Bill says. The Morrisseys are proud to act as ambassadors for the city. "It’s so great when you hear comments like, ‘I didn’t realize what a great city Winnipeg is and I’m going to get out more,’" Wendy says. "And we even hear people say they wouldn’t mind living here — people are pleasantly surprised at what a wonderful place it is." "So often, after a tour we hear from our guests — and that could be a local business touring or resident Winnipeggers who have visitors — that it was just a great reminder of all the things that make us proud and that make Winnipeg a great place to live."